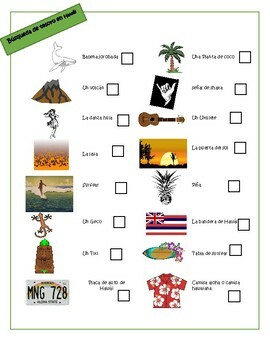 This Worksheet is designed to keep your kids focused and entertained while traveling thru the beautiful islands of Hawaii . 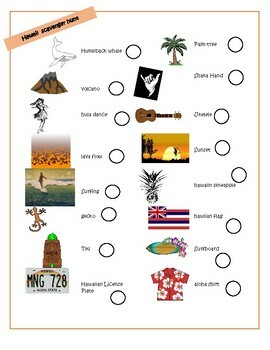 He/she will spot the item in the scavenger hunt while visiting the Hawaiian islands then they will check the box of the item they saw. The scavenger hunt is in English and Spanish giving the child the opportunity to practice both languages. This worksheet is focused kids ages 3, 4, 5, 6, and parent prompting while doing this activity is recommended. Have fun in Hawaii and aloha haunting.